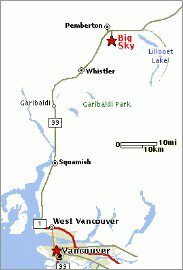 Big Sky Golf and Country club is the longest of four championship courses that comprise the Whistler Village golf community. 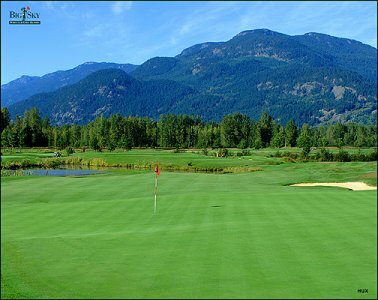 Golf Digest has rated Whistler as the number one golf destination in CanadaJust 25 minutes north of Whistler is a golf setting so majestic that it must be experienced to be appreciated. 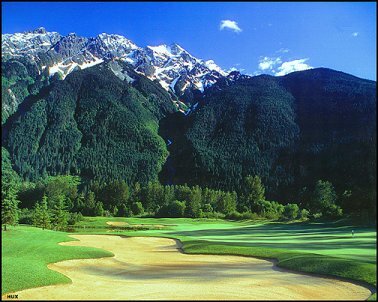 At the base of beautiful, snow capped Mount Currie, in the scenic Pemberton valley, Big Sky Golf & Country Club provides a peaceful and serene setting for a golf experience that you will not soon forget. Designed by award-winning golf course architect Robert Cupp, who also designed famed Pumpkin Ridge, Big Sky Golf and Country Club features the finest in golf course conditioning with bent grass from tee to green. A links design over gentle rolling terrain, Big Sky offers the finest in golf resort amenities with a fully licensed restaurant capable of hosting weddings and corporate functions. Dresscode No Denim. Collared Shirt and Tailored Pants/Shorts Required. 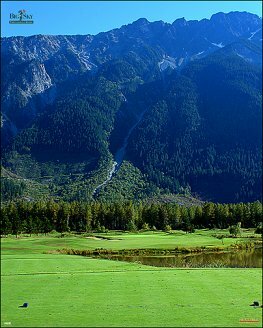 In the pastoral Pemberton valley walled in by glacier-capped peaks two hours from Vancouver, British Columbia, designer Bob Cupp has fashioned a subtle, gently rolling test that would fit right in on Hilton Head Island — except for the towering mountains and resident black bears. 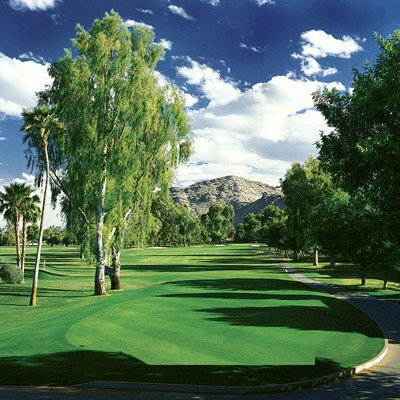 Big Sky Golf and Country Club is not yet in our pool of Golf Courses for orders.